It all started on Twitter with a tease. A #ThursdayBookTease to be exact. Meka James tweeted an excerpt of her WIP and Rosetta Yorke, intrigued by it, replied. Soon they were both commiserating over the trials of being slow writers. At that point Meka coined the term turtlewriter. Not wanting to be left out, M L Moos popped her head in the conversation, also labeling herself a turtlewriter. The three of them decided to make it official with a hashtag and a community was born. Within a few weeks, the hashtag had taken off, attracting many more slow writers on Twitter. 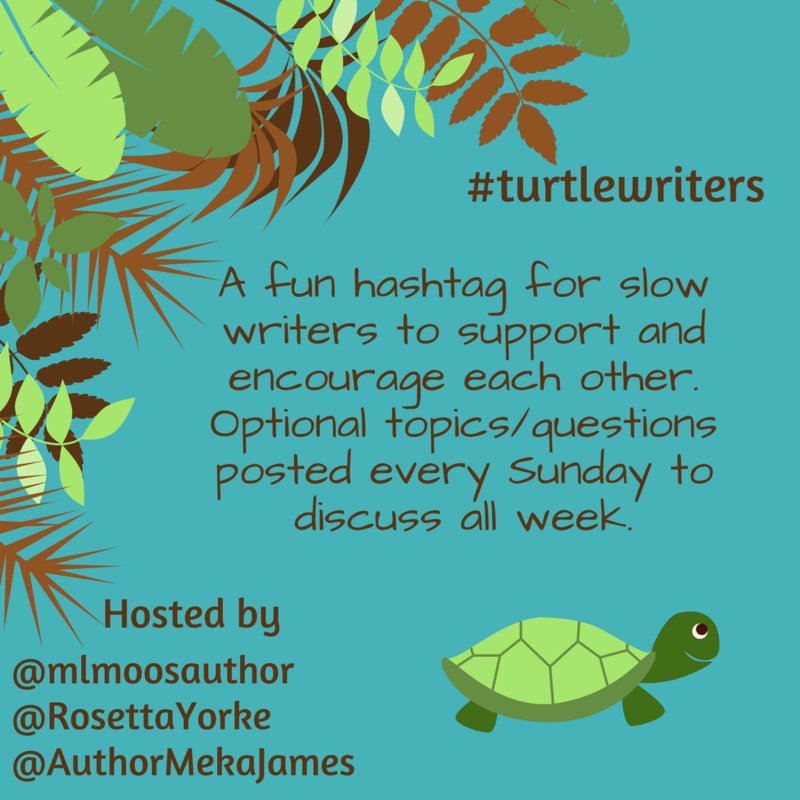 Due to the hashtag’s popularity, the original TurtleWriters decided to put together weekly Twitter questions for all these turtlewriters to answer and discuss throughout the week. Since then it has become a huge community of writers that continues to grow and branch out into the world, spreading encouragement wherever they go!